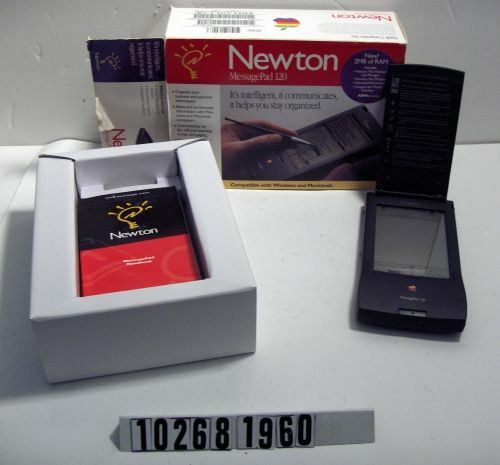 Model number H0131 On object; not on box. Part number H0142LL/A On box; not on object. Serial number IV5101E01GQ On box; not on object. Box is white with other colors. Object is dark gray. 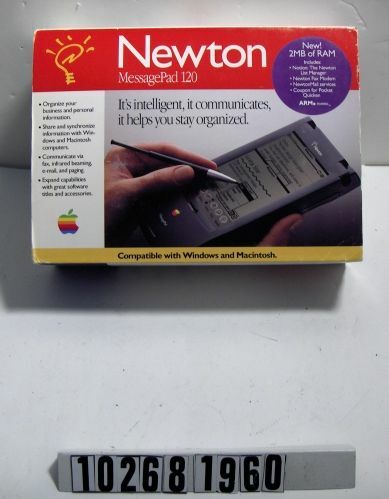 Object consists of: Newton 120 message pad, documentation, original packaging.